Members of the National Research Foundation (NRF) – Research and Innovation Support and Advancement (RISA) Executive Committee visited numerous institutions of higher education around the country as part of their national roadshow. The NRF-RISA Executive Committee were at the Durban University of Technology (DUT) at the Ritson Campus, last Friday, 25 January 2019 to host talks on the proposed implementation of the NRF funding policies and processes on student funding for 2020, and the impact it will have on Master and Doctoral students. The National Research Foundation (NRF) was established in 1984, whereby researchers apply to be assessed in terms of their scientific standing, excellence, productivity and impact, by peers who are sourced globally and as well as selected for their expertise in the field. 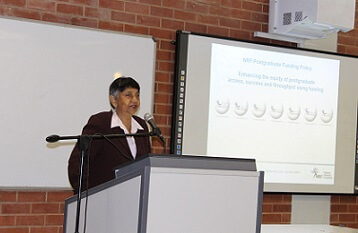 Giving a better understanding of the National Research Foundation’s (NRF’s) funding processes was NRF’s Dr Romilla Maharaj, who spoke about the NRF’s funding policy which aims to enhance the equity of post-graduates’ access, success and throughput using funding. She explained the current challenges with obtaining NRF bursaries included bursaries not currently covering the full cost of studies and that the race and gender targets as set out in the Ministerial guidelines which are not met at the Masters and Doctoral levels. 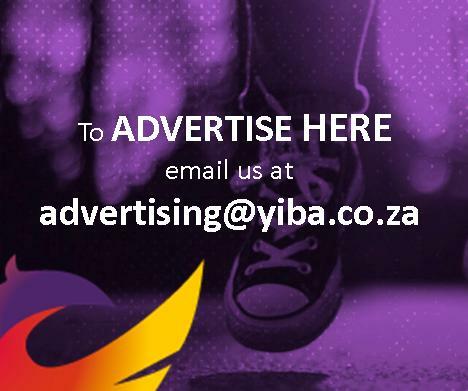 “The NRF has proposed policy clauses that include funding financially needy students without interruption for postgraduate studies completed within regulation time, at total cost to study. However, this policy will be restricted to South African citizens and permanent residents,” she said. She also added that the NRF expects that postgraduate students receiving NRF bursaries must be prioritised for accommodation at University residences, especially at the Honours level. “The expectations we have of universities is for administrative support for postgraduate students, enabling environment for postgraduate training, and for research collaboration,” she said. The day concluded with further talks on the NRF rating and evaluation processes as well as the grant management and systems administration issues by various other NRF delegates. Pictured: NRF’s Dr Romilla Maharaj leading the discussion on student funding.